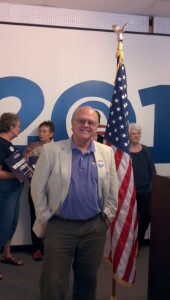 Mike Tate, Chair of the Democratic Party of Wisconsin, will join the Waukesha County Democrats for the Annual Holiday Potluck on December 20th at the Waukesha Labor Temple. In between bites, I plan to grill Tate for info about next year’s State Convention. Word on the street is that the Democratic Party of Wisconsin will host its 2013 State Convention right here in Waukesha County. Yes, Waukesha County. For questions or to sign up to bring a dish to pass, leave a message at (262) 970-7104 or send an email to: chairman@waukeshadems.org. Potluck? Maybe they should get to work. Republicans aren’t slowing down for the holidays. Yeah because Obama is in means we’re winning right?